African American hair care is becoming more and more important in the black hair community. With the rising of natural black hair care, black women are starting to truly take notice of their hair habits. These habits include that of creating a hair care routine that will enhance the life, growth, and health of African American hair. African American hair is one that is naturally a tight curl pattern that can vary from that of 3a to 4c type hair. Now although hair typing is very common in the natural black hair care community, it is just the beginning of everything you need to know to have healthy hair. A lot of black women choose to type their hair so that they can find proper products or other African American women who have the same hair type. Once women find someone who has a similar texture they tend to gain more tips and helpful hints on how to properly care for they hair. Not all African American women choose to wear their hair in the natural state. Natural black hair care is only part of the black hair community. Black women who choose to chemically treat their hair so that they can wear it straight more so than curly have relaxed hair. Relaxed hair tends to be more easy to maintain and less time consuming then that of natural black hair care. Never the less both types of hair need proper maintenance and treatments to keep them healthy and flourishing. 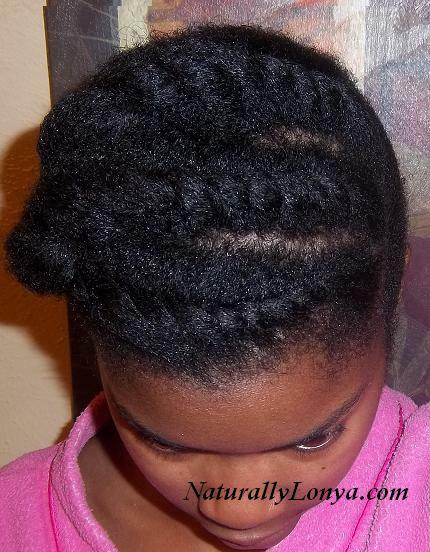 All African American hair needs a proper moisture and protein balance. You need to make sure that you are switching between your moisturizing products or deep conditioners with that of protein products. Relaxed hair wearers and natural use a lot of heat needs to make sure that are getting enough protein in hair more so then others. The chemicals in relaxers and the over use of heat tools will totally strip your hair of the protein it needs to stay strong and retain length. So regardless of the type of African American hair you have, you still need to proper take care of your hair. •Depending on your lifestyle and fitness level wash hair once a week or bi weekly to ensure a healthy scalp and clean hair. •Wash hair with a sulphate free shampoo. Natural shampoos are the best way to make sure you have a good shampoo. •Most importantly for healthy hair you got to have a good diet! You are what you eat and this is true for your hair as well. Your hair can truly suffer from not eating the right foods and not getting enough nutrients. One way to ensure you are getting enough in your diet is to take black hair growth vitamins as well. I highly recommend the hair vitamins from hair infinity. All and all keep your body healthy and practice proper hair care technique and you are sure to have longer, stronger, healthy hair.